EURACTIV interviewed Mike Brown, commissioner at Transport for London (London), Dr Gabriele Domschitz, a board member for mobility at Wiener Linien (Vienna) and Béatrice Jung, group corporate social responsibility director at TransDev, which covers Paris and other French cities. What have Paris, Vienna, and London already done to aid people with restricted mobility? [Paris]: Transdev’s purpose, with and for the local authorities we serve, is to provide socially responsible solutions that fulfil our customers’ expectations for mobility and quality of service while contributing to the quality of life and social and economic development of local communities. Our approach is based on a combination of tools, services, personal assistances, as well as digital solutions. We point out the need to build confidence and autonomy of PRM throughout our networks. [Vienna]: Making our mobility services accessible to everyone is a long term challenge. We started already four decades ago to improve the quality of our services step-by-step. In a close cooperation with disabled people and their organisations we developed a systematic model to identify, develop and implement improvements to accessibility and a philosophy of user-centred design which runs through all transport modes and is applied to existing as well as new infrastructure and rolling stock. As we realised what we do for disabled people is an advantage for everyone, accessibility became an important support for this strategy. In the beginning, we were focused on the demands of deaf, blind, visually-impaired people and people with mobility limitations. Besides retrofitting programmes we were and we are still engaged in research projects to find new solutions to make our information systems – even in case of disturbances – more efficient for everyone. We recognise there are still groups with disabilities who are unable to make their demands heard. For instance, people suffering from dementia or mental illnesses are a subject to deal with in further research projects. The effort has paid off: today we are almost 100% barrier-free. [London]: We are committed to making life in London better for all our customers. For our disabled customers, this means they can use our network to travel across the entire city. London has one of the most accessible transport networks in the world. London Underground now has 71 step-free stations which have opened up millions more journeys for wheelchair and mobility aid users. In our new Business Plan, 30 more stations will be made step-free by 2021/22. This will bring us to 40%, from the current 26%. There are more than 200 stations with level access across London Underground, our suburban rail network London Overground, the Docklands Light Railway (DLR) and trams. When the Elizabeth line opens in 2019, all 40 stations along the route will be step-free, including key interchanges at Paddington, Bond Street and Liverpool Street. New trains will increase London’s rail capacity by 10%, reducing overcrowding and providing more comfortable journeys. Along with an entire fleet of accessible buses, more than 90% of bus stops in London are fully accessible. Our real-time audio/visual information, helping vision-impaired and hard of hearing customers get around, was introduced on our bus network 10 years ago. We also make information available to developers, which has seen apps like CityMapper and Nearest Bus created. Our customers now have access to more real-time information than ever before, so they can re-plan journeys on the go. We are also launching a ‘please offer me a seat’ badge and card, to help people with invisible impairments, conditions and illnesses get a seat. All our station staff and bus drivers undergo disability equality training. All London Underground station staff recently underwent an extensive week-long customer service training course, with a focus on assisting disabled customers. We have now started Hello London!, a similar course with all 24,700 London bus drivers. Nobody should be hampered in doing the things they want to do by inaccessible transport. It is a big challenge, but we will face it head on and make a huge difference to millions of our customers. And what are the biggest barriers – literal and metaphorical – currently facing disabled passengers across the cities you operate in? [Paris]: At first, it’s a problem of culture. Existing laws ensuring the rights of disabled people are a precious first step; beyond that, and in order to overcome the accessibility challenge of every mobility network, dialogue with and engagement of all stakeholders is the key to improving general awareness and fostering inclusive initiatives. [Vienna]: We have been working hard to eliminate the most obvious barriers for our disabled passengers to make it easy for them to travel flexibly and autonomously throughout our network. In this respect, we believe that it is important to move forward steadily step by step. If too much is required too fast, there is always the danger that nothing at all is going to happen. Mostly, due to a lack of financial resources. So, we argue in favour of an incremental approach that takes the whole system into account. In the context with the proposed EU directive it should be clear that it is not about making every single part or product of a system barrier-free, but to make the system as such accessible. Therefore, alternatives should always be acceptable. For example, access to a vehicle for wheelchair users is necessary, but not through each door of the vehicle. The purchase of a ticket? For sure! But not in every possible mode of payment! Alternatives should always be acceptable. We believe that this is the best approach to quickly eliminating the biggest barriers for disabled passengers. [London]: We are proud of our achievements, but we know there is much more to do. There are still barriers our older and disabled customers face using the network and we are tackling them. We provide many accessible services, but so often people do not know about them and find themselves socially isolated. We produce guides, maps and leaflets, but it can be difficult to get this information out to the people who most need it. We have run a local grass-roots campaign, called ‘Come on Board’, where we go out and speak to local groups supporting older and disabled people. This means we get vital information out to as many people as possible. We are now looking at other ways of providing Londoners with information on accessible services, in the places they are more likely to spend their time. The population of London is increasing, and ten million people will live in the city by 2030. That will put great pressure on our transport network and could lead to overcrowding. For many older and disabled people, overcrowding is a real barrier to travel. We must continue to invest in new trains and buses, to make journeys safe and comfortable. The walk-through trains introduced recently on London Overground and the District, Circle, Hammersmith & City and Metropolitan lines help with this. Finally, many older and disabled people have concerns about other customers’ behaviour – will they give up a seat, will a buggy user make space for them, will people be loud and play music? We do a lot of work to encourage people to consider their fellow passengers. 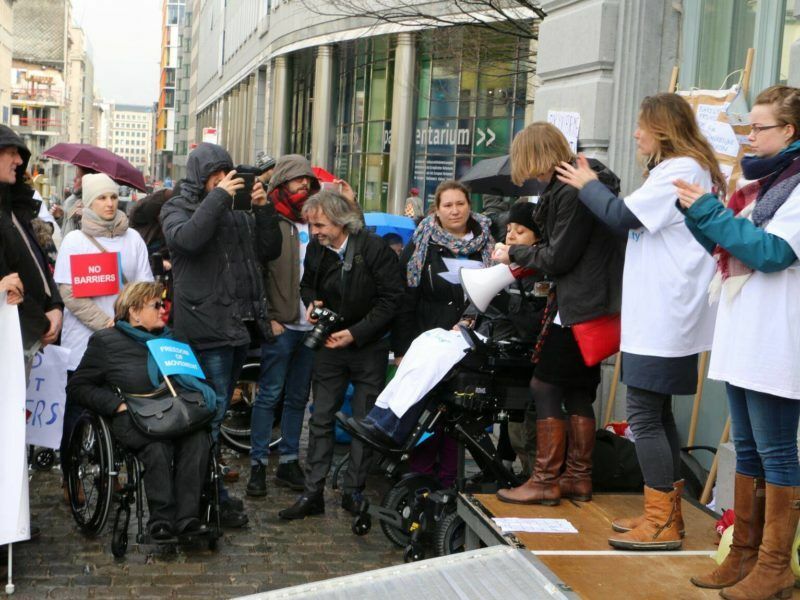 What do you welcome in the proposed EU accessibility act – and what are you worried about? [Paris]: Transdev embraces the objective of harmonisation and improvement of the European markets’ ways of working. However, we point out the significant need to find a practical balance between the directive’s objective and the reality of the public transport sector. The latest European regulations on passenger rights do already include accessibility requirements for each mode of transport. Thus, any new legislation on accessibility should be consistent with existing legislation. [Vienna]: Since Wiener Linien have always been a forerunner with regard to making public transport accessible, we warmly welcome the general approach and intention of the EU Commission. In some aspects, though, the proposal is too far-reaching. It creates a disproportionate financial burden on public authorities/utilities and increases legal uncertainty. Just one example: the original proposal of the European Commission foresaw the replacement of all existing ticketing machines with new ones after a very short transition period. We believe that a well-balanced approach is advisable here that aims at improving the situation of people with disabilities but simultaneously keeping the economic aspect in mind. As a compromise, we suggested that at least one machine per station should be replaced immediately and the others should follow after the end of their lifetime. 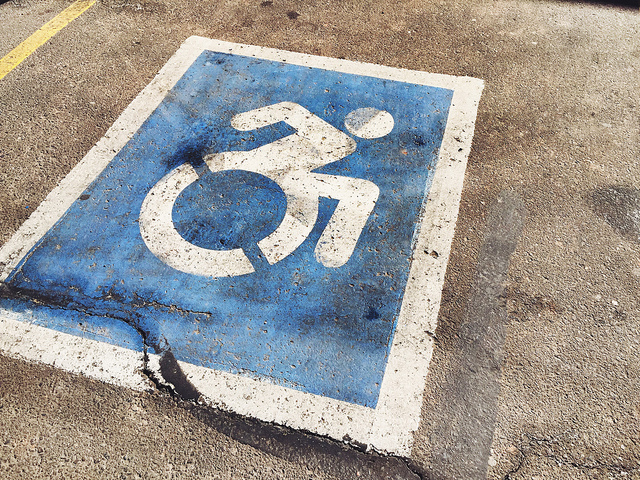 This helps people with disabilities immediately but prevents the creation of sunk costs. As already mentioned, it is important to consider the whole system and not only particular products. For instance our bus and tram stops are equipped with a tactile guidance system. This system is closely linked to our POPTIS (Pre-On-Post Trip Information System) guidance system, which contains a route description. [London]: As I have indicated, we are committed to improving the accessibility of our services to all our customers, regardless of their personal circumstances. I am pleased that accessibility continues to be a policy priority for the EU institutions. The overall aim of increasing the inclusiveness and reducing the barriers some people face when using public transport is something I strongly welcome. I am, however, concerned the requirements for public transport contained in the Commission’s proposal do not match with those that organisations representing people with mobility issues tell me they want to see. 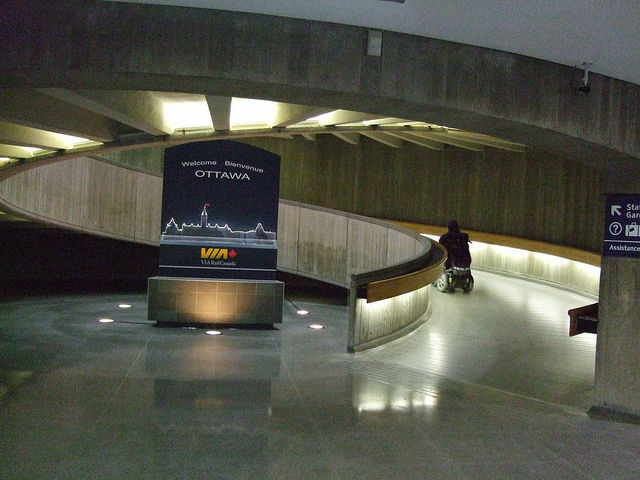 Improving accessibility needs to be seen as a whole. Making transport networks open to everyone requires improvements to staff training, reaching out to people currently excluded, embracing technology, changing behaviours and improving infrastructure. The transport proposals in the accessibility act focus almost completely on infrastructure – and ticket machines in particular. In London, those customers who would most likely benefit from these new ticket machines, such as people with visual impairments, already receive a free travel pass. A better solution would be to allow transport providers to meet this requirement through equivalent measures, such as staff on hand to help customers. The Commission should also approach the issue from a holistic point of view and encourage best practice across the EU. There are many things we can learn from each other. What potential knock-on effects are there from the act, in terms of costs, and for other passengers? [Paris]: We are already investing in different PRM [Passengers with Restricted Mobility] solutions in all our operations. This work is done on a basis of special R&D and dialogue with local PRM associations, in order to find the best solutions. That being said, will the act be articulated with the existing initiatives and improvements achieved to meet PRM needs, and not create additional requirements that could force us to change our existing equipment? [Vienna]: Unfortunately, when it comes to financing public infrastructure money does not abound. So, we have to very carefully consider our investments. If all the money was spent on new ticketing machines, we would lack the financial resources for other projects, such as the construction of new lines, shortening intervals or the development and creation of new apps which will help our customers to access multi-modal travel through the city of Vienna. Just to convey to you a sense of the dimensions we are speaking of: in Vienna, the replacement of all 365 fixed ticketing machines would cost around €15m. The replacement of around 500 mobile machines in trams is likely to exceed €8.5m, since the cost for mobile machines range between €10,000 to €17,000. Machines with more functions are more expensive still. We prefer to spend the money in a reasonable way that benefits all our customers. [London]: Replacing all of London Underground’s ticket machines would cost hundreds of millions of pounds. However, this is not a priority for our customers with mobility requirements. They would rather see more step-free stations. Our new Business Plan commits us to spending £200m [€234m] over the next five years on bringing the number of step-free stations to 100. With 270 London Underground stations in total and a network that in places is more than 150 years old, we still have a huge task ahead. While that remains our long-term goal, doing so in the very short timescale envisaged in the accessibility act is unrealistic. 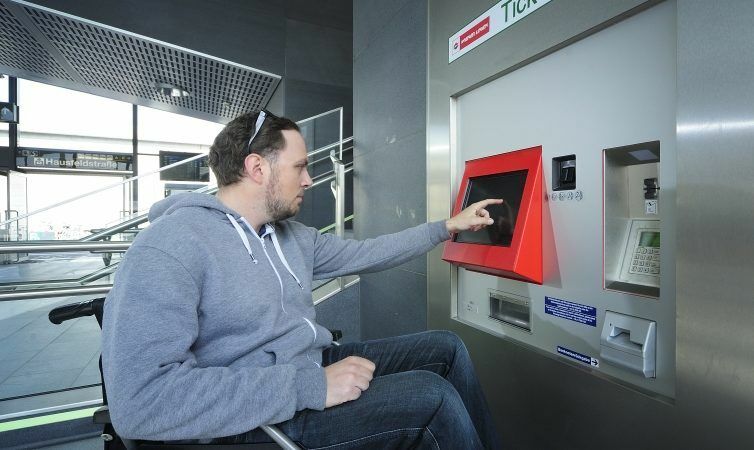 Public transport authorities in cities around Europe are expecting that they’ll have to improve ticket machines to make them easier to read for people who are partially or totally blind, once an EU disability rights bill is passed. Everyone agrees that in 2017, disabled passengers should have the same rights and accessibility as able-bodied travellers, but is that practicable and possible? [Paris]: Yes it is! Mobility is a universal right, so we have to work with all stakeholders to find together innovative solutions that are adapted, practically and economically, allowing easier deployment. Our final objective is to offer transport solutions for all passengers of our networks. [Vienna] In Vienna, this is already a reality. Our network is almost 100% barrier-free. Access to all underground stations and over 99% of all tram and bus stops is now possible barrier-free by means of ramps and lifts, making Wiener Linien a pioneer in this respect in Europe. 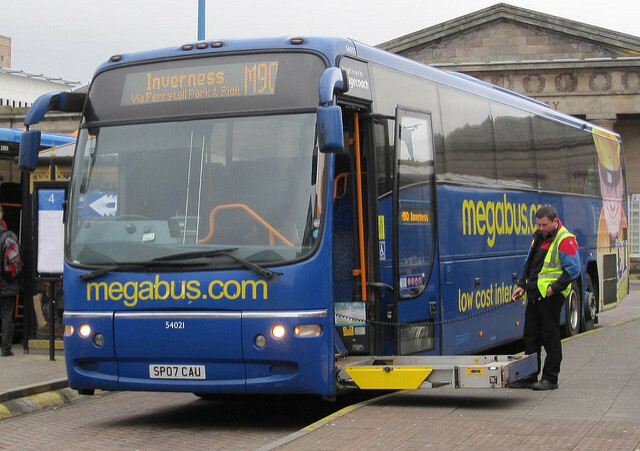 Our bus and metro fleet consists exclusively of low-floor vehicles. Regarding the tramways, it is more than two-thirds. Additionally, many underground stations and bus and tram stops are equipped with a tactile guidance system. Further, a barrier-free version of our website is available and our transport app (qando) is equipped with a screen reader. This makes the app easier to use for visually impaired people. But certainly, you can always improve the status quo and you should never rest on your oars. Currently, we are keen on improving our digital tools and services to make them available for disabled people. Thereby, we are working closely together with representatives from different associations for disabled people in Austria, such as the Austrian Association in support of the blind and visually impaired. [London]: I firmly believe older and disabled people should be able to travel as safely, easily and spontaneously as everyone else. Transport providers need to show a clear commitment to accessibility and consider it in every decision they make. Accessibility is not just about infrastructure – it is about information, customer experience and support. These things do not have to cost huge amounts of money and can be done as part of business as usual activity. When we upgrade our stations, we always provide step-free access – we have seen this recently at Tottenham Court Road and Vauxhall. When we purchase new trains, we look to improve on the last ones by building in greater accessibility features. It is possible to make infrastructure accessible, but it does take investment and time.